The second limited edition tote bag designed by Brent Rollins will accompany your Cali Canvas Clyde purchase. 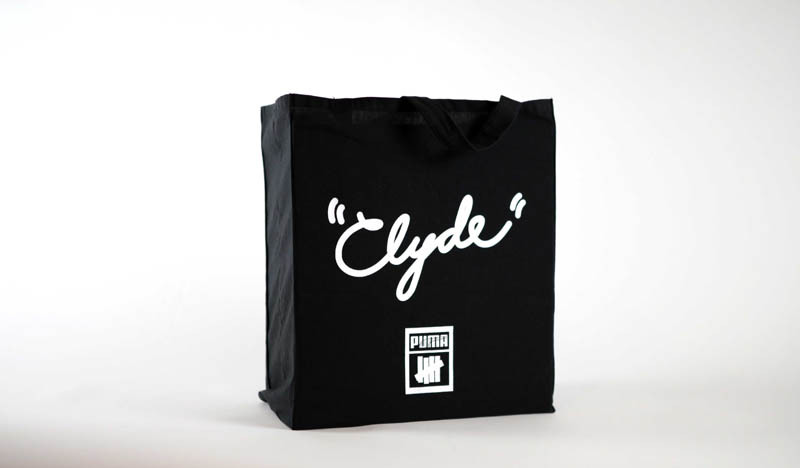 A day after PUMA and UNDFTD celebrated 24 Hours of Clyde for the release of the new Canvas Cali Clydes, we bring you images of the latest Brent Rollins tote bag designed in association with the collaboration. 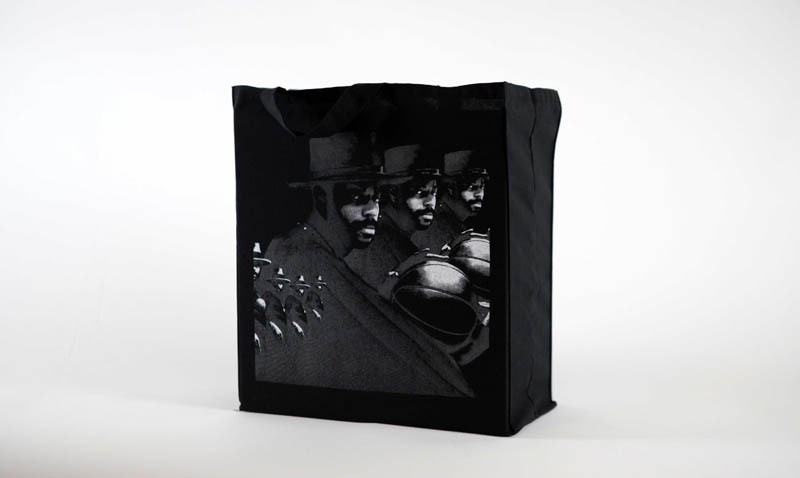 The second of four overall designs, the bag features a reworked historical image of Walt “Clyde” Frazier from the 70’s. When all four designs are put next to each other, they make up a complete Brent Rollins original. 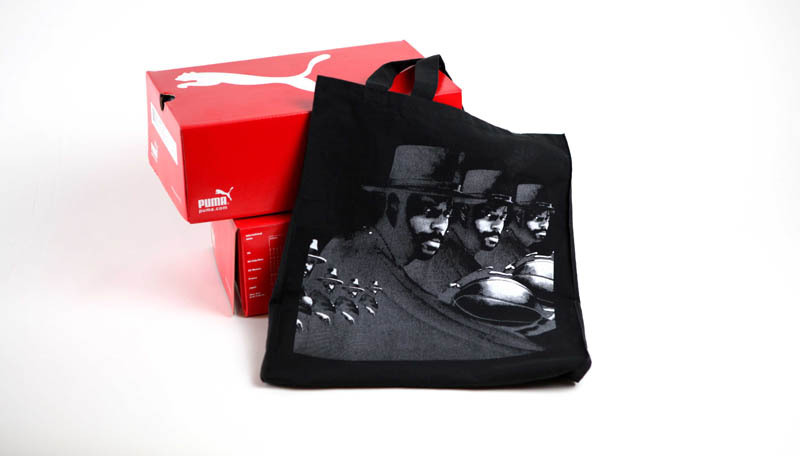 The second Brent Rollins tote is available now with the purchase of the UNDFTD x PUMA Cali Canvas Clydes while supplies last; the other designs will be released with future drops from the collection. You can pick up the Cali Canvas Clydes and limited edition tote at the following retailers: Undefeated (LA and Las Vegas), Dr. Jays (New York), Nice Kicks (Austin), Attic (San Diego), Proper (Long Beach), Premier Boutique (Paulo Alto, CA), Premier Skate (Grand Rapids, MI), Villa (Philadelphia, PA), Moda 3 (Milwaukee), Shoe Gallery (Miami), St. Alfreds (Chicago), and Compound (Portland, OR).